The Polivoks voice for the Ambika polysynth is a classic russian made Polivoks filter design. Originally designed by Mutable Instruments, the project was graciously opensourced and is now in continued production. This is a PCB only in a desktop/non-modular format. It requires a motherboard/control board and a programmed IC - available here under "Related Parts", below. This filter uses the same core as the Polivoks Shruthi-1 filter board. While this product is in fact an Ambika originally designed, sold and supported by Mutable Instruments, it is no longer manufactured by them and therefore is not supported by Mutable Instruments. Any requests for help troubleshooting issues as they arise during a build that are sent to Mutable Instruments will be ignored. 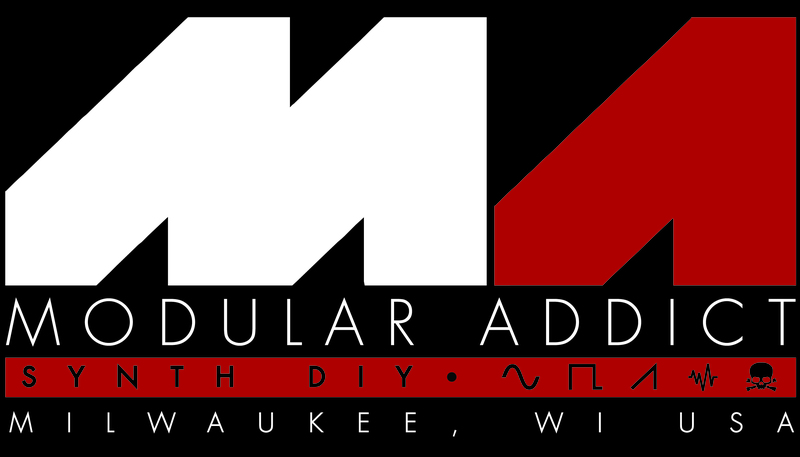 Please, send any support requests to us, Modular Addict, or to the SDIY community forums - not to Mutable Instruments. Although this is not an official Mutable Instruments product, we have been in contact with them during the whole process of continuing the legacy of the Ambika Polyphonic Hybrid synthesizer. All Mutable Instrument's Logos have been removed from all of the products. A disclaimer on every PCB reads "Originally designed by Olivier Gillet for Mutable Instruments, cc-by-sa". Basically, what this means is this is no longer a supported product of Mutable Instruments, but rather Modular Addict and Laurentide SynthWorks. It carries a Creative Common's license which allows anyone with the PCB files and code to manufacture them, as long as any changes to the design are also shared under the same license. Although the license does not require the original designers name/logo to be removed from the product, we felt it best to adhere to Mutable Instruments wishes regarding this matter. They want to distance themselves as far as possible from this product and we ask you, the purchaser, to respect their wishes when it comes time to ask for some troubleshooting guidance. This PCB was designed by Krzysztof Iwanowski and released under CC-BY-SA licence. A wonderful contribution to the DIY community!